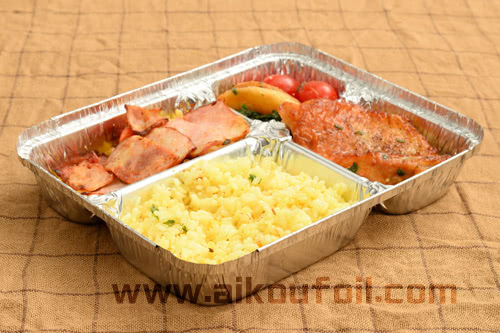 Today I will introduce one kind of large capacity aluminum foil container--6990. 6990 has a great advantage, it has 4 compartments for food packing. the taste of food will not affect each other. It's large enough for takeout food packing. 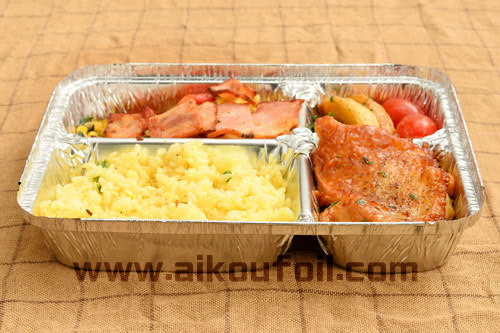 6990 informations: "two compartments aluminum foil container"